I just made a video showing how to arrange the loops on your fingers to follow one of the charts you might come up with in using Gary Mitchell’s interactive pattern-generator for the 7-loop “Spanish” finger loop braid. Kumihimo pattern-planners are fairly well known, but I think Gary may be the first braider to come up with a pattern generator for loop braiding. I described how the planner worked in my previous post, this video just demos how to follow its charts while braiding. Update April 2014: Gary’s new and improved site, FingerTips is back online with pattern-planners for even more braids! Click through to the 7-loop Spanish braid planners to find his original planner for this braid. The # on each tag is that braid’s planner ID#. 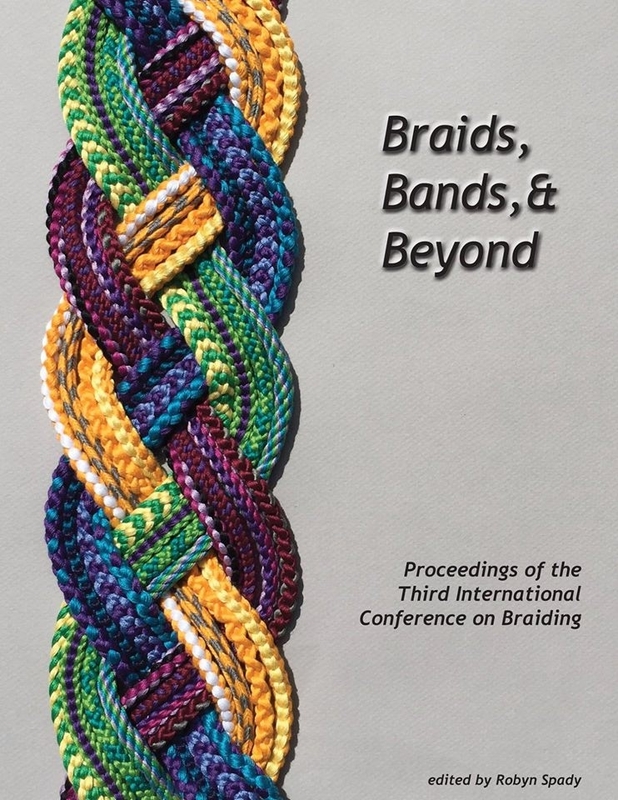 If you enter a number in the planner, you’ll get a chart for that braid, showing (in the lower left corner) how to set the loops up on the fingers to produce the braid. Gary has added some great features to his planner. At the lower right of the chart display, there are now buttons you can click on to reverse the darks and lights (REV), switch the patterns of the upper and lower surface of the braid (SX), and—my favorite!—you can click + or – to go forward or backward through all seven cycles of each pattern repeat. This also shows you all seven possible starting setups of loops on the fingers for each pattern. The video also shows how to make the 7-loop spanish braid with a more straight-sided and rectangular shape, by making the loop-turns slightly differently than I showed in my first videos for this braid. It isn’t a beginning tutorial for learning this braid. If you are first learning the braid, you should probably follow my earlier tutorial on it. I don’t explain each of the moves in this video, or braid as slowly. @1:07—New way to make the turns (so the braid will be flatter, not convex). @4:52—How to UNBRAID this braid. @9:47—How to follow a chart from Gary’s pattern planner. @17:50 How to make the lower side’s pattern and the upper side’s pattern switch places on your braid, not just on the planner (“SX” Surfaces Exchanged). See the top braid in the first photo—the upper and lower surface patterns switch sides part-way along the braid, and then back again. (Any color set-up that includes bicolor loops will create a different pattern on the two wide surfaces of the braid). Here’s a link to Gary’s main site for all his braid planners—once you’re there, go to the Spanish Braid section, where you now can choose between a planner for the original 7-loop Spanish braid, or an almost identical planner that has the tile-sizes slightly readjusted to reflect the flatter version of the braid I demo in the video above. Once you are on an actual planner page, click on “submit” to go to the grid. There you can click on the tiles to change the braid colors around. 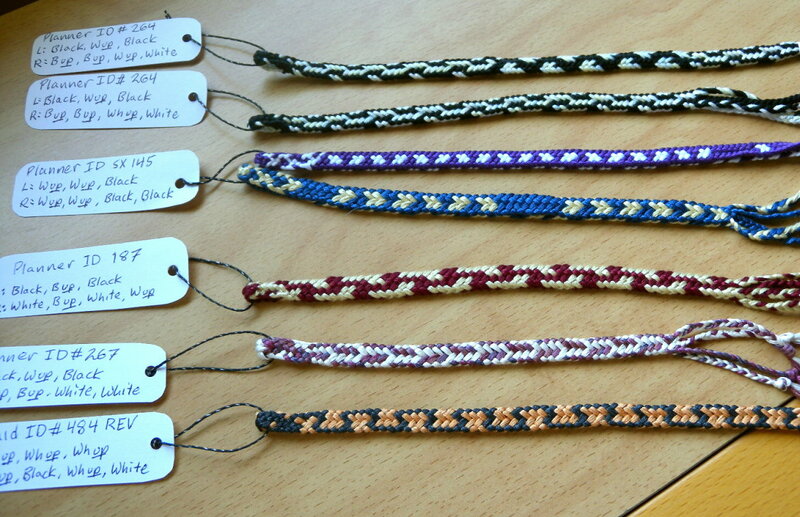 (Or if you already know the braid pattern # you want, enter that before clicking on “submit”). See full copyright restrictions and permissions at the bottom of the sidebar. (If you are on a small-screen device, the ‘sidebar’ may appear somewhere other than at the side). Hi ame, I’m sorry about that, which part is confusing–the different way to turn the loops in braiding this braid, or the part about following Gary’s planner? Have you followed my earlier tutorial for making the 7-loop Spanish braid? This post might make more sense after following the earlier tutorial, and also after reading my previous post introducing Gary’s pattern planner.